The Financial Times says U.S. officials have confirmed that Pakistan allowed Chinese engineers to pick over the wreckage of a top-secret U.S. helicopter which crashed during the raid on Osama bin Laden's compound in Abbottabad. Citing anonymous sources close to the White House and the CIA, the FT report says Pakistan's powerful military and spy agencies granted Chinese scientists access to the helicopter's tail section, and even allowed them to take a sample of the high-tech machine's skin, which makes it invisible to radar. 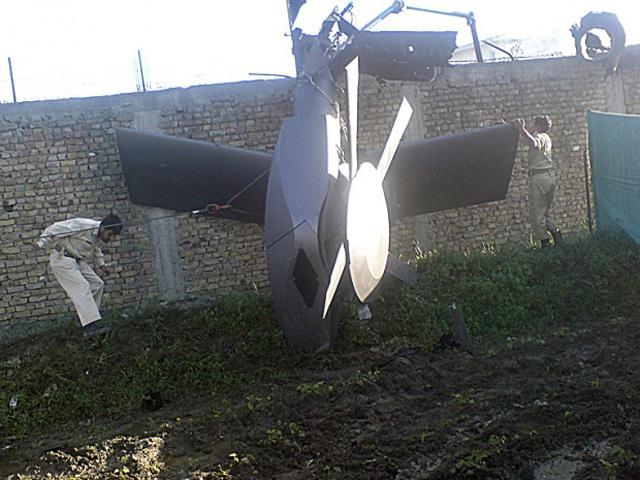 Pakistan returns stealth helicopter debris to U.S. Rumors of Pakistan allowing China access to the modified Black Hawk's severed tail section floated around Abbottabad in the days following the U.S. raid, but there was never confirmation. Pakistan's military has flatly denied that any Chinese representatives were allowed access. "The U.S. now has information that Pakistan, particularly the ISI, gave access to the Chinese military to the downed helicopter in Abbottabad," a U.S. intelligence official told the FT, pointing specifically to Pakistan's premier spy agency. "There is no truth in this report" a senior Pakistani government official told CBS News' Farhan Bokhari on Monday, strongly refuting the FT's report. "We have not given access to the U.S. helicopter to any third country," added the official, who spoke to CBS News on condition of anonymity. The claim by that U.S. official and others to the FT, whether proven true or not, are certain to put further strain on the relationship between Washington and Islamabad - which was already in an incredibly fragile state in the wake of the bin Laden raid. Pakistan's military and civilian leaders were furious that they'd been left out of the loop on the plan to raid bin Laden's compound. The FT says the White House is still trying to figure out how to respond to Pakistan's alleged actions, but one official close to the administration acknowledges there are few options - Pakistan has proven an unreliable ally in the war against Islamic militants, but as a nuclear-armed nation in the heart of a region key to U.S. security, where anti-American sentiment is rife, Islamabad must remain an ally.